Day two of hummus for lunch. Today we smeared a circle of hummus on a big white dinner plate. 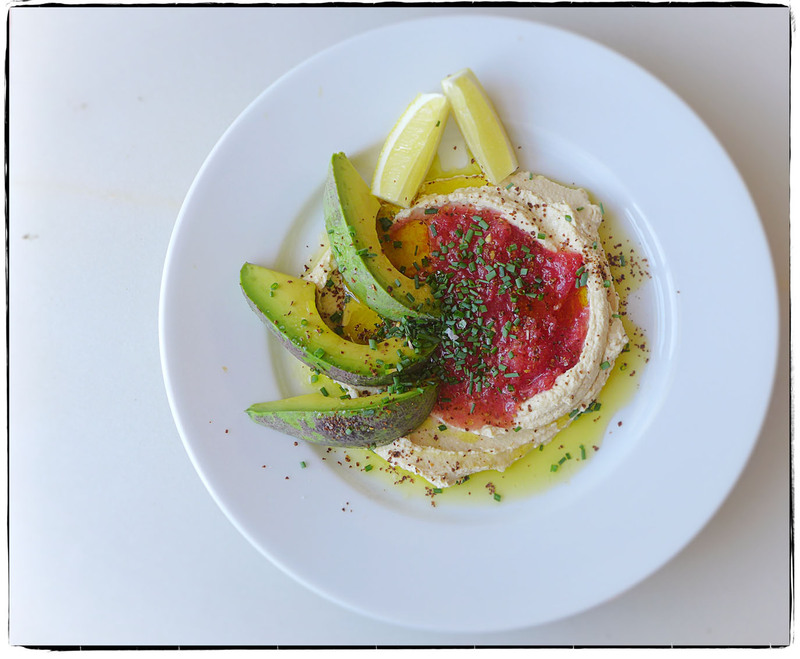 We added spoonfuls of ripe tomato concasse with garlic, slices of avocado, minced chives, a drizzle of good olive oil, then seasoned everything with salt and Aleppo pepper. Make something delicious for yourself this weekend, dear friends.